A new tropical depression, TD 11-E formed Friday night and is expected to become Tropical Storm Kiko on Saturday. It is currently well southwest of Mexico. The storm is expected to begin weakening on Sunday. A small tropical storm formed off the coast of Baja California peninsula prompting tropical storm warnings for the area. It has since weakened into a post-tropical cyclone. Celebrity Millennium has been experiencing mechanical problems since early August, resulting in the early termination of its latest cruise and cancellation of 4 sailings ending the Alaska sailing season early for the vessel. During the August 2nd sailing, the ship was delayed coming into port at the end of the cruise. The ship made news as it was stranded in Seward during the August 9th sailing for emergency repairs. The ship bypassed all ports, sailing directly to Vancouver. 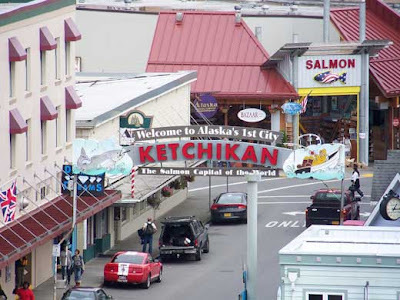 The final straw was on the August 16th sailing when the ship was stranded in Ketchikan in need of additional repairs. Celebrity then decided to cancel the four remaining cruises and transition the ship to Freeport, Bahamas where it can undergo maintenance at the dry dock facility. Celebrity Cruises provided charted air transportation for all passengers as well as compensation for the cancelled cruises. This is not the first time this year that Celebrity Millennium has had propulsion problems. Itineraries were impacted in April (see Celebrity Millennium Itinerary Change). The Celebrity Millennium-class were the first of the larger class ships to be introduced to the Celebrity fleet later being joined by the modern and popular Solstice-class ships. Propulsion problems have often occurred with the azipod system, which improves maneuverability of the vessel. In many of the previous cases, problems could be repaired by the onboard mechanics. When they can't be resolved, unexpected dry docks, like the current one, result. Hopefully the impacted passengers will be able to return to Alaska another time. We are certain that Celebrity Cruises made the decision to cancel the remaining cruises after exhausting all other options. 30 MPH...45 KM/H...WITH HIGHER GUSTS. A new cyclone system formed in the soutwestern Bay of Campeche prompting warnings for portions of the Gulf Coast of Mexico. The tropical depression grew into Tropical Storm Fernand. MEXICO...WITH ISOLATED MAXIMUM AMOUNTS NEAR 15 INCHES POSSIBLE. According to new sources in Belize, a press conference was held this week unveiling details of an agreement between Norwegian Cruise Line and the Belize government to begin development of a new cruise destination in the southern part of the country. Norwegian Cruise Line is keeping details quiet, perhaps since they have already been shot down once before by the government. However, the news reports indicate the price for the island is $50M USD. 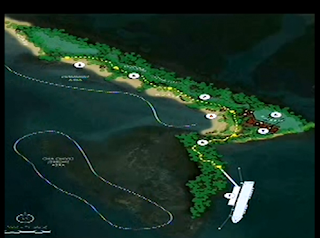 The new development will be called Harvest Caye and be an eco-friendly endeavor. 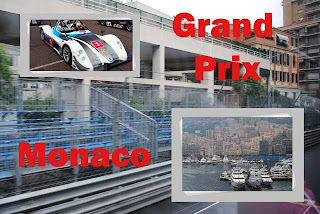 The project could be completed in 2015. Two of the main figures at the press conference were Colin Murphy - VP, Destination & Strategic Development, NCL and Hon. Godwin Hulse - Minister of Labour. If you watch the following video, you'll hear the minister say “It is not, as some would say, that we are all lying down, ‘licky licky,’ et cetera. We are here to protect the interest of the Belizean people – so that is why we were brought to Government and that is what we are going to do and we are going to do so successfully. No ifs, maybes or buts about it,” Hulse added. Colin Murphy didn't know what "licky likcy" was but figured he would have known about it if there had been any. Apparently that is slang for greedy. If the project is approved and actually goes forward, the construction phase could bring 1000+ jobs to the region. 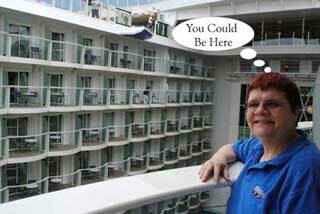 NCL is also sweetening the deal by recruiting more of their onboard staff from Belize. Currently there are very few crew members from this country. Will Harvest Caye Take Ships From Belize City? The tropical Meteorology Project at Colorado State University looks at the Atlantic Hurricane Season forecast several times a year. The initial forecast is released in early April with the second report being released at the start of the season in June. We are now entering what typically is the start of the active part of the season with storms forming in the vicinity of Cape Verde Islands. The chart above reflects the storms to date along with the revised forecast. "We continue to anticipate an above-average season in 2013, although we have lowered our forecast slightly due to anomalous cooling in the eastern subtropical and tropical Atlantic. We expect an above-average probability of United States and Caribbean major hurricane landfall"
Not "Out of the Woods"
At first read, you might think we have nothing to worry about. Well, if you review the chart closely, you'll notice there have not been any major hurricanes in the Atlantic so far this year, however, there are at least 3 still predicted. That means, there's a lot of potential for a powerful storm. Read the entire article (PDF link above) to get complete details about their forecast, including background information about how they come to these conclusions. NOAA’s Climate Prediction Center, a division of the National Weather Service, released it's updated outlook which still indicates a 70 percent chance of an above-normal season. The fifth Tropical storm of the 2013 Atlantic Hurricane Season formed over the far east Atlantic prompting the government Cape Verde Islands to issue Watches and Warnings. Erin strengthened into a tropical storm and then weakened into a depression a couple times. Will it regenerate as it continues? This year there has been a lot of negative press and attention to the cruise industry. 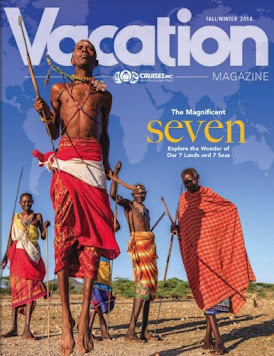 While the majority of the press was aimed at one particular cruise line, all lines have seen an impact. The industry is strong and in the long run, this will only be a small blip on the radar. In fact, Royal Caribbean International has just welcomed their 50 millionth guest onboard their ships. We live in what seems like "tragic times". Every night on the news there are more stories with sad news about death, injury, and disasters, than there are uplifting stories with happy endings. Through the marvels of technology, we are connected in ways never before imagined and can be "live" on the scene anywhere in the world as news breaks out. 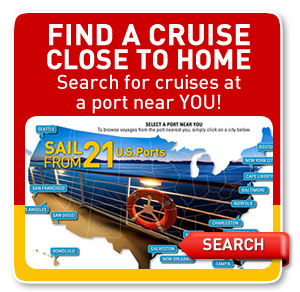 Unfortunately, there are many people that have considered cruising, but were not certain it was right for them. When prospective first-time cruisers listen to the news and hear only negative "facts", it is understandable that they have doubts, and often decide to stay within their comfort zone. Royal Caribbean International was founded as Royal Caribbean Cruise Line in 1968. They currently operate with a fleet of 21 ships, two of which are the largest ships afloat in the entire industry. There are three more ships being built over the next 3 years. When you go on vacation, whether it be on a cruise, or to a hotel nearby or far from home, you have some expectations about your experience. 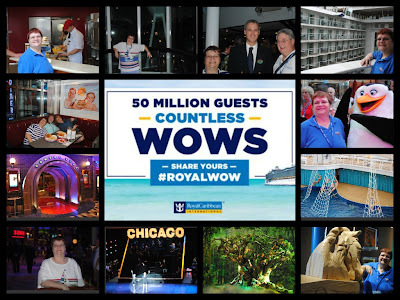 Royal Caribbean strives to deliver the "WOW" to each and every guest each time they sail on one of their ships. 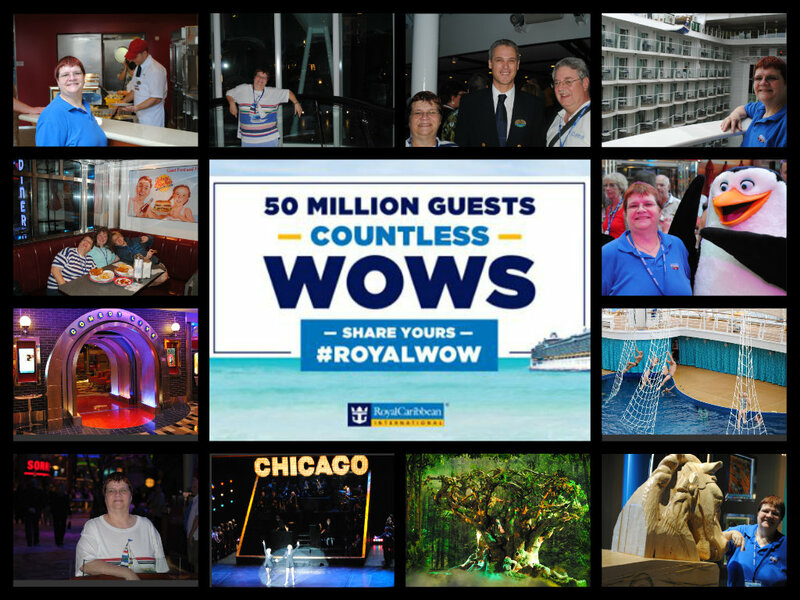 Royal Caribbean, upon achieving this milestone, has demonstrated that it has delivered on that goal over the years. 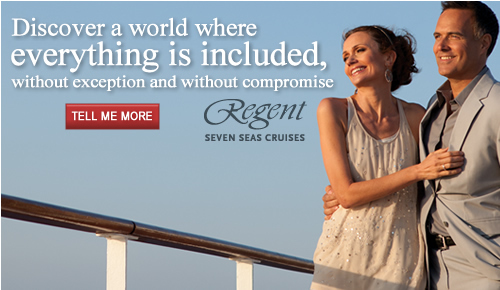 Guests who sail on RCI are very loyal. 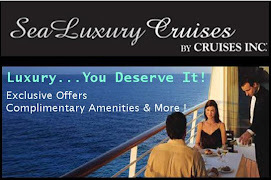 In fact their Crown & Anchor® Society just recently expanded their tiers to recognize members with 700 or more cruise points (which reflect the number of cruises, nights, and type of accommodations). 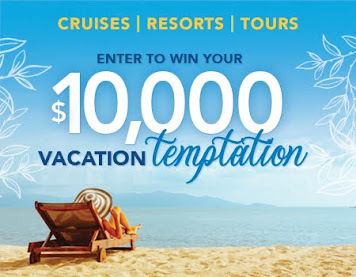 Royal Caribbean is celebrating this milestone all year long. Currently they are asking guests to submit their "WOWs" via Facebook, Twitter, or other means. 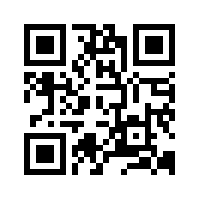 For more information see their 50 Million Guests Page. Watch this video to learn more about this milestone. On a personal note, I'd like to thank Vicki Freed, Senior Vice President Sales and Trade Support & Service, and the entire Royal Caribbean family for being such great travel partners. Together we strive to exceed our guest's dreams day after day. It is pretty easy to do when we can offer such a great product as RCI delivers the #RoyalWOW. As Quantum of the Seas and Anthem of the Seas begin the first signs of visible construction, Two Sisters Under Construction, it would be easy to overlook a third new build that is about to start. Construction of the third Oasis-class ship will begin in September 2013 at the STX France shipyards. The ship is expected to be delivered to Royal Caribbean sometime in 2016. It is too early for details to be released, but amongst the reader's comments on the blog article Building New Cruise Ships: Unique & Unusual Stories, written by Adam Goldstein, President and CEO of Royal Caribbean, he asked readers what they would like to see on the new ship. You'll have to see that article for some of the examples posted so far. 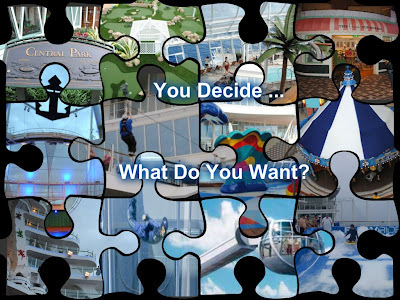 What Would You Like To See On New Oasis Ship? As you know, Royal Caribbean has taken the best features from Oasis and Allure and, via the Royal Advantage program, are introducing them fleet wide. Our assumption is that the new Oasis-class ship will preserve the features of her sister ships, but there's always room for new innovation as well. We thought it would be fun to build our own list of things we'd like to see on the new ship. There is so much to do on the current Oasis-class ships, and so many innovations already in existence today... but what is missing? If you were part of the planning committee, what ideas would you bring to the table? We'll Gather Them and Bring them with us to our National Conference next month and share them with the Royal Caribbean Executive Team. On August 2, 2013, in the German village of Papenburg, the traditional "laying of the keel" took place at the Meyer Werft shipyard for Royal Caribbean's new ship Quantum of the Seas. The maritime industry is one that is filled with traditions that live on today. One of those traditions is the laying of the keel ceremony, which is marked by a celebration that includes the placement of a ceremonial coin under the new ship's keel for good luck. In modern times, laying down of the keel is when the first block, or section of the ship, is lowered into the building dock. This marks the initial step in construction of a ship, so by shipbuilding tradition, the construction is dated from this event. A 430-ts block was put in place in the yard's covered building dock. 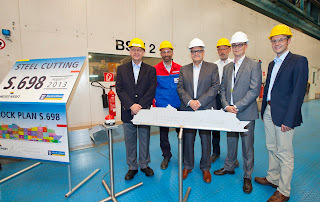 Harri Kulovaara, Executive Vice President Maritime of Royal Caribbean International, put down the lucky penny in the dock before the block of the new ship was lowered by the 800-ts crane. The first of a total of 74 blocks of the new cruise liner weighs 430 tons. 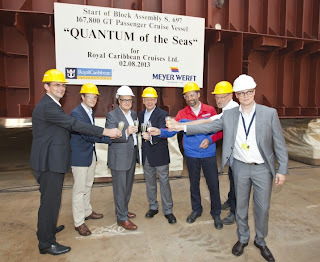 This keel-laying marks the official start of construction of the Quantum of the Seas. For the time being the 167,800-gt Quantum of the Seas is the biggest ship the shipyard has built so far. 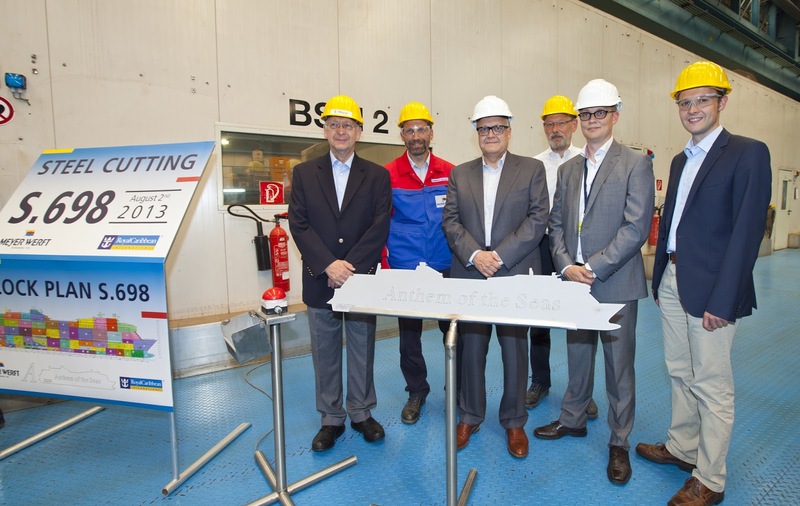 Prior to this the first steel-cutting for her sister ship Anthem of the Seas took place at MEYER WERFT 's laser centre. Delivery of the Anthem of the Seas is scheduled in the spring 2015, that of the Quantum of the Seas as early as in the autumn of 2014. The Oasis and Allure of the Seas will remain the largest ships in the industry, at 220,000 gt, when these two new ships join the Royal Caribbean fleet. The ship will include many of the features from the Oasis-class along with some new innovations such as a parachuting simulator, bumper cars, virtual balconies and many more. Studio staterooms will allow solo travelers to enjoy their space, inside and out, with 12 of the 28 cabins including balconies. Well, we took our "cruise" and vacation show on the road as well today as we participated in Hanover Park Community Resource Coalition's (HPCRC) annual Motorcycle and Car Show at the Hanover Park Metra Station. 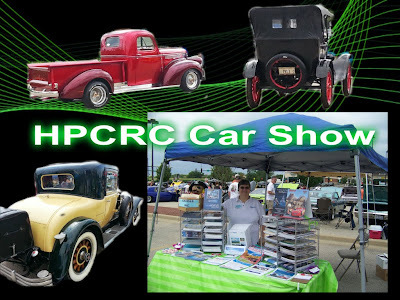 It was our pleasure to be part of this annual event supporting the work of HPCRC, a non-profit organization that provides a safe and supportive environment with multiple educational resources for the youth and adults of our community through tutoring, mentoring, and advocacy by trained and dedicated volunteers. 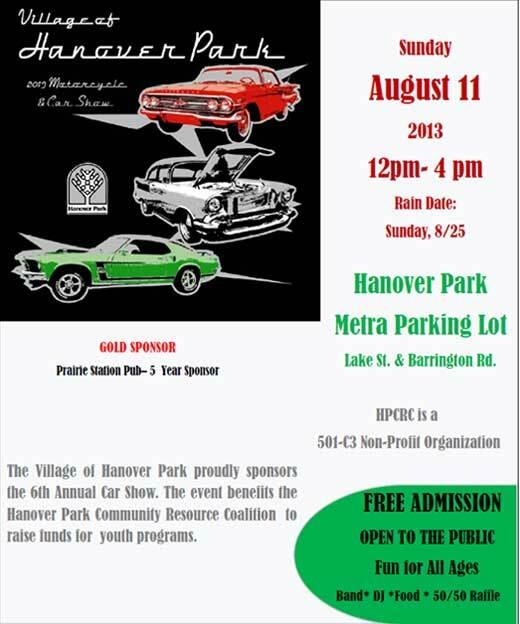 There were more than 150 cars and motorcycles on display for attendees to visit and cast their votes for trophies and other awards that were later presented by Hanover Park's mayor to the winners. We couldn't have asked for a better day. 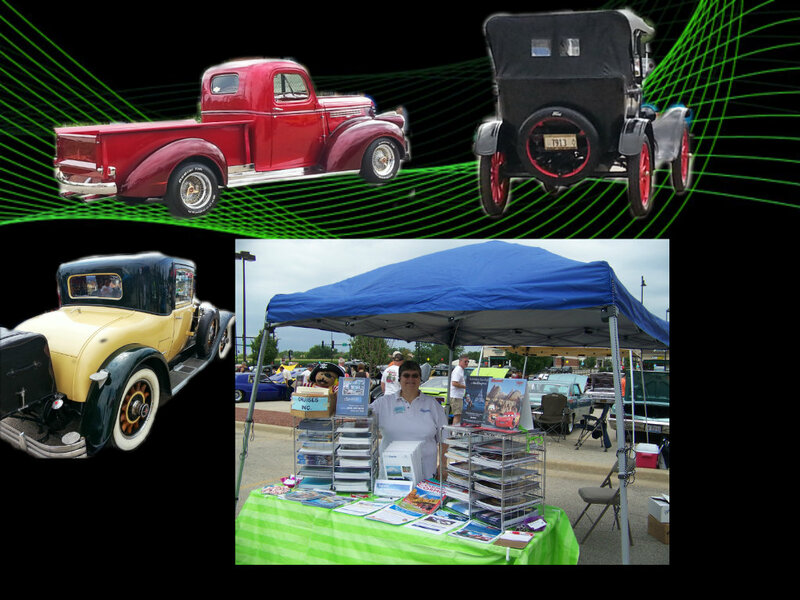 Temperatures were in the upper 70s with cloud cover most of the day keeping the warm August sun from baking the crowd. There was a threat of rain in the forecast, but that held off until about an hour or so after the show ended. Valerie Wilson of Valerie Wilson Travel, Inc.is the godmother of AmaWaterways newest ship, the AmaPrima. The traditional christening ceremony was held in Vilshofen, Germany. The tradition of christening a ship originated more than 4,000 years ago. A respected and well-known woman is carefully selected to serve as the new ship’s godmother, entrusted with blessing the vessel at a special christening ceremony. The blessing for the safety of the ship’s passengers and crew typically concludes with the time-honored ritual of breaking a Champagne bottle against the ship’s hull. The AmaPrima, a sister ship to the AmaCerto, is a deluxe 164-feet passenger vessel that incorporates many innovative design features, including Twin Balcony Staterooms and Suites, which measure up to 350 sq. feet. 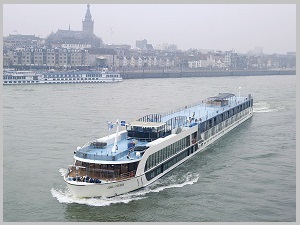 Dutch shipbuilders,Vahali, completed this second order of the Swiss-American company AmaWaterways AG back in March. The ship has been sailing Danube itineraries since April. Guests will enjoy Chaîne des Rôtisseurs culinary creations with free-flowing fine wine and beer at a choice of dining venues. The AmaPrima also features a heated pool with swim-up bar, massage and beauty salon, fitness center, and complimentary in-room Internet access and ship-wide Wi-Fi. The AmaPrima even carries a fleet of bicycles onboard so guests can enjoy Europe’s many miles of scenic riverside bike paths on their own. 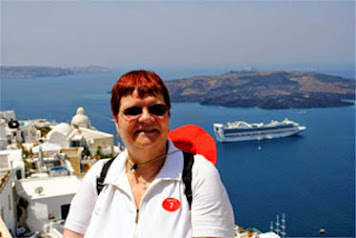 The AmaPrima serves the Dutch and Belgium Waterways and the Danube and Rhine Rivers on 10 itineraries: Tulip Time Cruise; The Romantic Danube; Melodies of the Danube; The Legendary Danube; Blue Danube Discovery; Black Sea Voyage; Magnificent Europe; Grand Danube Cruise; Christmas Time Cruise; and Great Capitals & Vintages of the Danube. Consult our River Cruising Guide to learn more about AMA Waterways and the other river cruise companies. River cruising is an up and coming alternative to large vessel cruising. It is possible to dock in the heart of your destination where you can be immersed in the culture and history. It is important to note that the alert doesn't make any reference to a specific threat, but rather just encourages American citizens to be vigilant and stay informed of current news as they travel. This is common sense which should be exercised regardless of whether or not an alert has been issued. A new tropical depression formed on Saturday and became a named Tropical Storm, Henriette, 24 hours later. 2013 Eastern Pacific Hurricane Season. The storm formed off the southwest coast of Mexico. Henriette is expected to become a hurricane Wednesday but it shouldn't cause any problems for land. Princess Cruises and Seabourn become the latest lines to alter itineraries to avoid Egypt. This situation has been going on for the last several summers, so it doesn't come as a huge surprise. The lines have been monitoring the political unrest in Egypt and adjusting schedules in the interest of passenger safety. 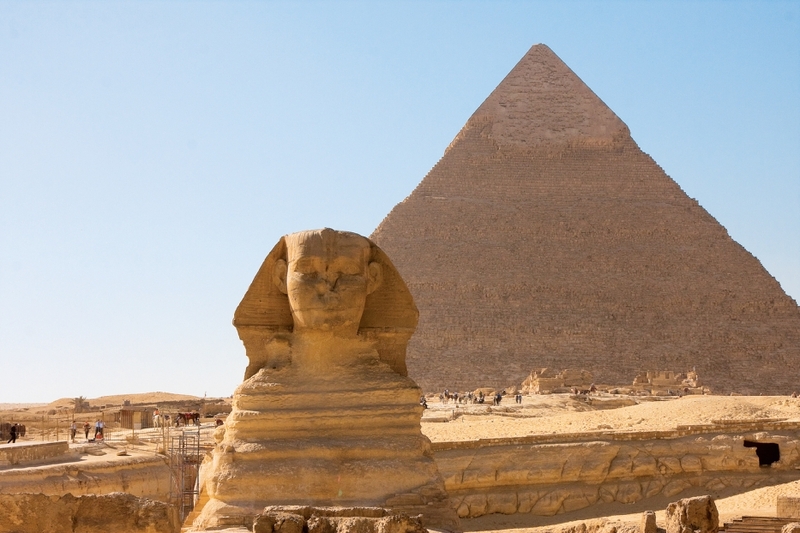 We strongly recommend that U.S. citizens traveling to or residing in Egypt enroll in the Department of State's Smart Traveler Enrollment Program (STEP). According to reports in the Italian press, an alleged incident involving Carnival Sunshine has triggered cries from Andrea Marcucci, head of Italy's Senate committee on art and culture, to ban cruise ships from sailing in the Venice lagoon. This is not a new controversy. We reported news about this shortly after the Costa Concordia shipwreck in our article Concordia Disaster Rekindles Venice Restrictions. 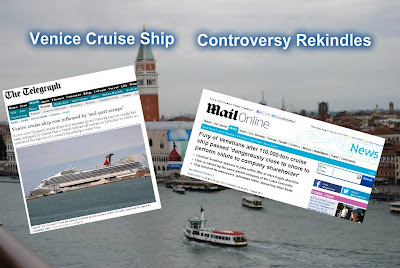 Even before then, there had been concerns raised about the harm done by cruise ships in Venice. British tabloids "The Telegraph" and "The Daily Mail" broke the news citing information contained in the Italian news agency ANSA's article from July 29th. Carnival Cruise Lines, The Italian Coast Guard and others contend that the alleged "sail by" did not occur. The interesting thing is that cruise line captains are not under the control of their vessels when they enter the Venice lagoon. A pilot boards the vessel and takes control. So, even if the news were true, it would not be the fault of the captain, but rather that of the pilot who should know the waters. In addition, the ship is guided by two tugs, one in front and one in the rear of the ship. Therefore, it is highly unlikely that all these local operators would steer the vessel too close to port. Sailing into Venice in the early morning is a magnificent event. It would be a shame if some hidden agendas prevented ships from seeing this perspective of Venice.